City Mayors invited those who participated in World Mayor 2005 to put questions to Guatemala City Mayor Alvaro Arzú. The Mayor finished third out of 65 finalists in World Mayor 2005. From the many questions received, a representative selection was forwarded to the Mayor. Below, he replies in detail, as well as with candour and thoughtfulness. Question: We all know that Guatemala's economic growth (which started with you) came to a stop when you left the Presidency. If there were a change in the constitution, would you run again for President? Alvaro Arzú replies: My priority at this time is to serve the People of Guatemala, from the Municipality. Right now, I am devoting my efforts to Guatemala City; therefore, I cannot think about the Presidency. The municipal work is very intense and concrete, even to the point of being bigger than the one undergone in the Presidency. The “government by the people and for the people” is lived day by day in the Guatemala City Municipality. Now that we are in Municipal government, we have relived the importance of being so near the population, something this position permits, and it is a fascinating challenge for me. Question: Your programme of providing street children with food, shelter and education in exchange for environmental work has improved their quality of life. What future plans are there for these children and how do you work together with central government? Alvaro Arzú replies: Our immediate plan for the future is to increase the capacity we have for attending to this vulnerable sector of Guatemalan society. The more children we include in this program, the better we will reach our goal of eliminating the exploitation of street children and give them a better opportunity of developing themselves - as children deserve. The project is led by my wife and is working very well; our hope is to raise the level of their quality of life in the City of Guatemala and to set an example to other cities that share this problem. Question: What are your plans to fight the exploitation and kidnapping of children who are then traded for money and illegally sent to other countries? Alvaro Arzú: A Mayor has many limits, mainly because he lacks resources and the capacity to execute projects, or to take measures that lie within other areas, such as the judicial branches or other parts of Central Government. We are aware of this and are convinced that all children have a right to health, education and development in an appropriate environment. We have worked on this from the beginning of our municipal government. We work very hard in including as many children as we are able in our programs, and have great effort dedicated to prohibiting the entry of children into the zone 3 garbage dump. Many children are placed in the gardening training program of the municipal nursery, and other young people are given work opportunities after finishing the training program. They have done the gardening of several areas in the city, such as 17th Avenue in Zone 1, and San Francisco de Asis Park. We want to be a Latin American model of eliminating child labour and exploitation. Question: How much longer do you plan to stay in the Mayor’s office in Guatemala City? Alvaro Arzú: We (and when I say ”we” I mean not only myself but also the working team that I rely on) are deeply involved in finding a technical and social solution to the problems that the Guatemalans face every day. In politics (and especially in municipal politics), we cannot let time slip by thinking about future elections. Each political moment is unique. When you add each individual circumstance, at the end, you have the base needed to make a decision, not only in order to participate in politics but also for doing things at the right time, place and manner. Question: What obstacles prevent you from doing an even better job than what you are presently doing for Guatemala City? Alvaro Arzú: Two main factors prevent the best possible management for the Municipal Office. First, the lack of financial resources. When the population increases, their needs increase as well, and to satisfy those needs, a great amount of resources is required. The first time I occupied this office in 1986, the City had 700,000 inhabitants. We are now 2 million during the night, and 3 million during the day, due to daily commuting to the Capital. The other factor, which is not as obvious, is cultural; the practices and the tendency that humans have of continuing to do things the same way that they did in the past. When we talk of change, relocation, and rearrangement, there is always fear and resistance, even if the changes are done for the benefit of the majority. Question: Do you have any plans to improve waste management in the city? Alvaro Arzú: The treatment we currently give to the garbage generated by the inhabitants of Guatemala City and several adjacent municipalities is of better quality than the one provided in the past. We are aware that the actions that we have taken are not enough to solve this serious situation. That is exactly why we are working in medium and long-term solutions. Among the medium term initiatives, we have planned the construction of a new garbage disposal facility that will allow the expansion of the usable area, extending the lifetime to an additional eight to ten years. The long-term plan is to use modern technology to treat waste and residues, which would be a definite solution. To achieve this goal, we are contacting international entities and institutions. It is important to state that, whichever measure we adopt (medium or long-term) has to be supported by the involvement of the community, to create awareness for better practices in waste disposal. The Mayor’s Office in Guatemala works hard in trying to find a better solution for all neighbours living in Guatemala City. Question: I have lived in Zone 2 ‘El Sauce’ Guatemala City all my life. We have a problem with waste disposal because the largest garbage dump is located in Zone 3. Now that the Supreme Court has stopped the municipal authorities charging extra to build proper waste disposing facilities, what is your team going to do? Alvaro Arzú: The treatment that we are currently giving to the garbage in zone 3 is already costing nearly Q20 million quetzals to the Municipality. The goal is that each municipal service provided is self-sustainable through the payments from those who receive the service, which was what we were looking for with this specific tax. Since we cannot tax the treatment of solid residues as we proposed, we will have to continue paying from the general funds, which are destined for investment in development of new road infrastructure and various services demanded by the city’s rapid growth. Therefore, the Municipality is studying several alternatives to sustain the current service and the one to be implemented in the future. There are several possible alternatives, such as taxing the entrance to the Garbage Disposal Facility according to its weight. Question: Do you have any plans to relocate the garbage disposal facility located downtown in zone 3? Alvaro Arzú: When the garbage disposal facility in zone 3 has reached its maximum level, the terrain will be leveled, adjusted, and returned to the owner. This is programmed when the new project mentioned before begins operations. Question: Guatemalans need more green areas, public places where people can walk and interact. Places where families can be together, children can run and play, where couples can sit and talk... Guatemala City lacks such places. Private developments are taking up more and more space without creating enough public open spaces. How can the city council get places that are more public and transform them into public parks and open areas before we become surrounded only by walls and concrete? Alvaro Arzú: A city without green areas is a city without life. A good part of the Municipality’s funds is used in rescuing, improving, and properly handling the green areas of the city. We are working on important projects such as the North Racetrack and the South Racetrack parks. These projects will not only change the face of the city but will also give public recreation areas that will increase the green areas proportionate to inhabitants. We are making an effort so that our city will not become a concrete metropolis, with security fences and perimeter walls. We want to transform it into a great garden worthy of the Capital of the country of Eternal Spring. Additionally, we are creating the City’s Green Belt and regulating the areas that integrate it. This Belt is composed of all areas unsuitable for urban development within the valley of Guatemala, such as ditches and slopes from surrounding hills. Several of these areas are very accessible from the city and have now turned into ecological parks, which we are promoting for public use and protection. With the Green Belt the green area deficit would be compensated and will increase the relation of green area per person from three to 50 square metres, which is greater than what other declared-ecological cities have done. The recovery of public space is a priority for the Municipality of Guatemala. A healthy city is one that displays a balance between public and private areas. However, due to historical reasons, the municipal government lost control during the transfer and foundation of the city of Guatemala in 1776 and currently does not have any land resources to influence urban development. In answer to your question as to how can the Municipal Council obtain more public places, I believe that the answer is to find alternative ways to accomplish the same objective: developing spaces for people to interact. Our Municipality is one with a very low tax income; therefore, the saving for investment is scarce. We should concentrate on recovering the public spaces that already exist: sidewalks, streets, squares and parks and return them to the pedestrian. Our technical teams are developing the recovery of the Main Town Square, the North Racetrack, the 18th Street Corridor, the March 11th Square, and the Spain Square. All these will be coordinated through a large-scale intervention, called Central Corridor of the City of Guatemala, which will start implementation in 2006. Another way is to present innovative ways of public-private management. An example would be to attract investors for subterranean parking places, in the recovery of strategic public plazas, but only if the City’s interests are respected over private interests. On the lack of public spaces, we have to present innovative projects in private non-developed areas, which are not profitable for the investor, but are strategic for the city. A bigger-scale example would be the Ecological Corridor of Guatemala City. Through public intervention, these areas could become the main recreational space for citizens, and with the implementation of low-impact programs, there would be a use for cultural, tourist, academic and research activities, where private investors could create sustainable investments. In summary, when we reach a fair tax basis for the growing needs of our city, the recovery of the already existing public spaces and the promotion of public-private management programs will be the way to go. Question: Every day more and more factories and cars cause pollution in Guatemala City. What are your plans to clean the environment? Alvaro Arzú: We are living through times of great public and institutional concern about the environment. It is evident that the social value on the environmental issues has changed drastically during the past years. The arrangement of industrial locations, the control of some outdoor activities, the surveillance of adequate operation of vehicle engines, as well as the implementation of specific rules, are elements that will lead us to an environmental management of the town, adapted to the social-economic reality of the Guatemalan population. Our project Air Quality in the City of Guatemala, which we are about to implement, considers concrete actions for the short and medium terms. The deterioration of our air quality is due 80% to mobile sources (vehicles) and 20% to fixed sources. This is why, in the short term, we will monitor all vehicles, where the mechanical condition of the vehicle will be pointed out to the owners and necessary repairs will be suggested. On the medium term, we will implement the gas-emanation system, which will grant a permit to circulate only when the requirements have been fulfilled. Question: How do you plan to cooperate with the Botanical Garden of Guatemala (USAC)? And, do you support the establishment of protected areas in the metropolitan natural corridor to protect its diversity and to manage the river basins? Alvaro Arzú: For the Botanical Garden, which I consider has a great potential like other botanical gardens in other cities of the world, we have started negotiations with the University of San Carlos (USAC), who is in charge of the project, in order to promote the involvement of private and other entities to support and develop its potential. Currently, we have an offer from the Forest Union, the Ex-Alumni of the Zamorano Institute, and the Botanical Garden of Missouri, to promote the rescue and financial sustainability of the Botanical Garden. The agreement that we are discussing includes a legal issue to allow us to include educational, scientific, and social activities to complement the operating budget. In reference to your question, there are other variables to consider. First, let us consider the ownership of the land. Not all the areas that are environmentally feasible to the municipality and the town are municipality-owned; there are legal ways of negotiation with the owners, but we lack financial resources and we will look for them. Second, we need to consider population growth. It is obvious that when the population grows, the demand for housing and services increases. Therefore, we look for a territorial arrangement that considers a balance between the economic and industrial development and environmental conservation. We have established the Green Belt and the rules that apply to the areas that form it. The Belt includes all the hydrological basins and other areas that are not suitable for urban development. Only in this city, we have more than 5,000 hectares of green area that are mainly natural woods. If we can consolidate the Green Belt for the metropolitan area, we would have approximately 15,000 hectares of green area, which would increase from three square metres to 50 square metres of green area per inhabitant, which is more than the proportion of other Latin American cities, such as Curitiba, which have been declared ecological cities. Question: How do you want to be remembered most, as President of Guatemala or as Mayor of Guatemala City? Could you explain which job has been more rewarding? Alvaro Arzú: I will start by answering the second question. I have said this in public and in private; to me, the most interesting, most demanding, most urgent work has been the municipal work. It is a job of keeping in touch, of direct experience, and dialogue. The presidential work is more structured; decisions are made by groups, and it is more difficult to see results in a short term. In relation to your first question, I am aware that time and people will at the end, be the ones that decide what type of memories they keep about me. In conclusion, I would like to be remembered as a public servant, as someone who, through hard work, wanted to contribute to make Guatemala a more prosperous society. 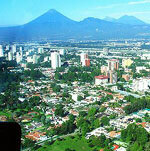 Question: Do you have any plans to promote Guatemala City on the world stage? Alvaro Arzú: The projects that we develop in the City are not only to improve the quality of life of the inhabitants, and enable them to enjoy their city, but also to have every visitor (Guatemalan or foreigner) enjoy it. We are constantly establishing new contacts with friendly cities around the world to strengthen our relationship with them, to guarantee some recognition and experiences. We make the best use of any opportunity that comes our way. Question: How do you plan to solve public transportation problems in Guatemala City? Alvaro Arzú: This is one of the city’s endemic problems. Realistically speaking, we have started a process, which will be implemented in approximately eight years. It is the Transmetro Project, whose first phase will be ended in September 2006. This solution answers to the needs of the majority of the metropolitan area’s population. In a city like ours, where the problem has existed for many years, the citizens have decided to buy cars, resulting in the proliferation of individual vehicles, which is greater than the capacity of the city’s roads. This is why we are supporting massive public transportation solutions. The problem with urban mobility is one of our biggest challenges in the city. We believe that the solution has to come from mass public transportation; not only because of the quantity of people that depend on it, but also because, in the long term, it is the most effective, efficient, and sustainable transportation option. We have concentrated our efforts on this issue, and we will see it come to completion when the project starts operations with the fast bus Transmetro, which is part of the integral plans of the city for 2020. In addition to the Transmetro, we have initiated alternative programs, such as recovery of sidewalks and implementation of bicycle tracks that will contribute to solving the needs of a great city and the needs of its neighbours. Question: The public bus service in the capital city has always been chaotic. It seems all the power is in the hands of the bus owners. Most bus users would like to see rules applied such as fixed schedules, certified drivers, closed doors while the bus is on the move, strictly enforced bus stops etc. My question is, are there any legal, financial, or logistical reasons preventing you from implementing such rules? Alvaro Arzú: The reasons are, as you well say, logistics. We do not have what is called a Transportation System. We have companies that offer isolated services and the controls we could implement in such circumstances are minimal. We will have a “System” when the Transmetro, during its development, becomes the axis of all massive transportation, including the feeder routes. We will all probably agree that the public transportation in Guatemala is disorderly, and, as you well say, many of the problems pertain to the operators. However, not necessarily do they want to behave inappropriately, but quite simply they compete amongst themselves to get more users. And this is the key to all the problems that we have on the roads, like fighting for users, blocking several lanes, etc. We have to understand the logic behind the behaviour of the bus drivers to propose a solution that works. The solution is simple: eliminate the handling of cash by the driver and pay the operators per kilometre, instead of per user. With this, we eliminate the perverse incentive of competing for users, and we substitute it for incentives to comply with their routing, their schedules, and their bus stops. We have had some achievements with the bus owners, and we hope to implement a prepayment plan in a short term, not only for the Transmetro, but also for the whole system. Question: What are your plans to make the current transport (bus) owners understand that the whole city deserves better public transportation once you have inaugurated the trans-metro project, and what security measures will be implemented for the new system? Alvaro Arzú: Let me tell you that during the past eight years, we have incorporated the bus owners into the Transportation System, which will have the Transmetro as an axis. Currently, they are well aware that the changes will have to be implemented once the system starts operating. However, the change involves control, payment, and other systems. It is a long way, we know, but we have already made important progress in this matter. The bus owners and the Municipality are aware that changes need to be made on how the public transportation service is provided in the city. In fact, they have agreed to generate a quality transportation service; they have to change their organisation from the micro-owners (one owner = one bus) to a formal company with several stockholders. With this, we will not only reduce the need of competition, but also improve the operation, since we will not need all the buses circulating at all times. Specifically talking about the involvement of the bus owners in the Transmetro, we have made some progress in the negotiations. Up to now, they have expressed an interest in incorporating new private buses into the system. On your second question, I want to comment that the Municipality technicians are already creating the operating manuals for the Transmetro, which include all procedures for daily as well as emergency situations. The Transmetro control will have an essential function in guaranteeing an effective response to any emergency, the security of our users being our biggest concern. Question: Are there any plans to protect passengers from an increasing number of robberies and assaults on buses? Alvaro Arzú: The transformation of public transportation has to include the entire system. The buses have to stop at their designed locations, the drivers do not compete for users, and the rest of the problems that currently prevail will disappear as the Integral Transportation System is implemented. To begin, the Transmetro buses will be guarded to avoid the assaults that you refer to. I repeat, the transformation of public transportation has to include the entire system, including people’s security in the buses. We know that this is one of the main problems that affect the users, and we are coordinating with the Central Government’s security forces on how to minimise this situation. However, with the municipal actions that we will implement as part of the transportation restructuring, we can reduce the amount of robberies and assaults. As an example, when we eliminate the handling of cash by the bus drivers, the robberies will diminish, since the driver is usually the one who has the most cash in the bus. In the case of the Transmetro, each station will have police surveillance, closed circuit cameras and a control centre to obtain immediate assistance when an emergency arises. Our goal is to make public transportation the safest place on the streets. Question: Mr. Arzu I have followed very closely your political career over the years. You, together with a few responsible citizens, have tried to establish programs to educate the citizens of our country about the environment. I believe that more education is required on these matters. Are there any plans to increase people’s awareness of the importance of the environment? Alvaro Arzú: Unfortunately, education does not correspond to the Municipality’s tasks in our country. Nevertheless, we have an Environmental Education program, which seeks for an attitude change in the people and has begun to yield results. A change in habits and practices is the most difficult part to achieve. We have experienced that our efforts are not futile, the citizens appreciate and take better care of their parks and green areas; it is something that the citizens want and are not willing to lose. Each day we get more and more requests from neighbours’ committees for the Municipality to remodel green areas, which they are willing to maintain. The environmental Education Program of the Municipality was inaugurated in 2001 and has been devoted to train people on different issues; during 2004, we trained around 20,000 people and during this year, up to August, we have trained 14,000 people. Training is offered to different groups organised by the society: students of public and private institutions (from kinder to high school), through their principal’s request, and we include the teachers’ faculty, the principals, the supervisors, and the parents. We also offer training to neighbours’ committees in several zones of the city, children from the Guatemalan Municipality nurseries, children from market schools of the PENAT program, and children from the Mayor Wife’s program. Since last year, we have also trained Civil National Police, Agents, Commissioners and members of the CEPRONA and SIC. With the students of Educational Institutions, we have achieved great results regarding good habits for solid-garbage handling. Several communities have become aware of the importance hygiene and cleanliness in their neighbourhoods. Regarding market places, there have been many changes, according to their administrators. Tenants are becoming aware of the need to change. Question: What are your plans to restore the historic sites of the city? Alvaro Arzú: The recovery, transformation, and proper management of the Historic Centre of Guatemala City all represent not only a project but also a challenge. Besides the technical, structural and architectural factors, we also have to face the problems of traffic and the activities of the informal economy. In other words, our goal is to adapt our Historic Centre to the needs of today, and create a proper environment to attract residents to that area, so that they can enjoy a high quality life that translates into pride and identity for the citizens of this city. We have created institutions and a legal structure to guarantee the protection of the patrimony. We currently have the Historic Centre Department, the Consulting Counsel for the Historic Centre, and their legal instruments such as the Patrimony Protection Law, the Declaration of the Historic Centre as Patrimony of the Nation, and the Regulatory Frame for Revitalizing. Today, the Municipality of Guatemala is committed to two big actions: the revaluing of the Major Plaza of the Constitution and the Revitalizing of the Central Nucleus, the Transferring Terminal, the Barrios Plaza, the Amate and the Civic Centre. The project for the Major Plaza and its surroundings is the recovery of the Public Space. It has a great symbolic value, since it is historically the heart of the city. The immediate actions to take are concentrated in one first block to demonstrate that we include the renewal of the underground infrastructure, the building of the underground channel for electricity and telecommunications, the widening of the sidewalks, the change of textures on the pavement, urban furniture, lights and recovery of facade. As complimentary measures, we have created a series of incentives for private investors, the implementation of the internal loop to avoid bus stops in the zone, to relocate the itinerant sellers, to integrate the vulnerable groups, and to permanently negotiate with the owners to start private investments in the sector. Currently, our Downtown is a disorganised terminal of buses, which degrades our existing patrimony, the quality of urban space and lowers the usage of the area for residences. Therefore, we have foreseen the building of three interurban transfer terminals in the southern area of the original historic sketch. This will allow the entrance to the conventional routes and the green route to the big arm of the Metropolitan Transmetro, which will start operating next year. Complementing these terminals, a popular market will be built in order to relocate the itinerant sellers, and to recover the public space surrounding the transfer areas. This intervention is considered strategic, since it changes the conditions of the downtown area and rationally regulates the accessibility between the downtown area and the city. In summary, we are establishing the bases to achieve a sustainable development of the area, to encourage creativity in all sectors of the society, to achieve new interventions that contribute to the recovery the city for the inhabitants. Among the projects to restore historic sites, the Guatemalan Municipality is working on the following: the Monument to the Introduction of the Train (also called the Monument to the Star), Cerrito Del Carmen, with a Master Plan to revitalise the park to be implemented with public-private cooperation by the neighbours; the Fundación Teoxché; the former Post Office Building, which sponsors activities by the Metropolitan Cultural Centre. Even though the conservation of patrimonial buildings is a responsibility of the Ministry of Culture, all historic sites in the city have municipal protection under the Historic Centre Regulations, since they are treated under a special regimen. Question: In Guatemala it is very common that large companies like Pepsi Cola, Orange Crush and Coca Cola; in order to advertise, paint the front of the small stores ‘for free’ for displaying their respective logos. As a result, now you can see everywhere houses completely painted in corporate colours with big logos thus destroying identity, tradition and aesthetics. This occurs not only in the historic centre of the capital, but also in the rest of the country, spoiling the beauty of our landscapes and villages. What are you doing or what are you going to do in order to protect the character and beauty of Guatemala? Alvaro Arzú: The neighbour has to feel himself as being a part of this big city. He has to feel proud of living in the biggest and most modern city of Central America. To achieve this, we need to give it its character, dignity and identity. We are working on that; some projects that are shown as example are the project for the Historic Centre, the publicity regulations for public spaces, and the gardening of the city. Question: Considering that you have served both as President and Mayor of Guatemala and based on your experience gained in both places, how would you resolve the economic crisis in the country? Alvaro Arzú: It is not something for me to respond to at the current time, but I consider that there are three fundamental elements in promoting a better level of life in Guatemala. First, the strengthening of responsible democracy, where it is understood that the Constitution has the same number of “rights” as it does “obligations”. Guatemala has to learn to solve its problems with the practising of participation and tolerance. Second, there has to be clear and stable rules of investment. National borders are slowly disappearing; we cannot live apart from the international community. Therefore, and as the third element, we need to open our country to foreign investment. Question: What are your medium and long term plans to solve the city’s problems caused by the influx of immigrants from other parts of the country? 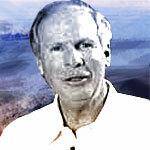 Alvaro Arzú: The power to solve this problem exceeds the attributions of a municipal government. First, we need to make an effort to obtain reliable information regarding immigration; second, we need to supply all these families with basic services. In this sense, we base our future on planning. We project data, to foresee future conditions for our city in twenty years, for example. All our decisions, immediate or mediate, are based on projections. Question: What do you do to get the residents of Guatemala City involved in civic activities? Alvaro Arzú: We strive for civic activities to be service activities at the same time. We work with children living on the streets; we involve the population in this noble cause. We work with young people on preventing and attending to the consequences of natural disasters. We implement measures that help senior citizens obtain free transportation or dedicating special lines in hospital areas, for example. This is a participative way to involve people and creates a true bond with the meaning of being Guatemalan: knowing and participating in activities that pertain to the population. Question: If you could erase something from your career as a politician, as President of Guatemala and as Mayor of the City, what would it be? Alvaro Arzú: I would not erase anything since I have done everything with the purpose of serving my country. To serve, I started in politics; to serve, I looked for the Mayoralty of the City; to serve, I looked for the Presidency of the Country; and to serve, I came back to politics to lead the Mayoralty of Guatemala City once more. God has placed me in the positions that I have held, and God will decide how long I will continue in politics. I have made mistakes because I am human but I have never stopped fighting for my beliefs, for being better, and for improving the quality of life of the Guatemalan people. Ranked third in World Mayor 2005, Guatemala City Mayor Álvaro Arzú can rightly claim to have played a major role in the Central American country’s transition from war-torn state to modern nation during his two decades in politics. Born in 1946, Arzú hails from one of the five families in the European elite that have long dominated Guatemalan politics, so two stints as mayor of the capital and even presidential office would seem par for the course. He began his career as Director of the Guatemalan Tourist Institute (INGUAT) in 1978 and was first elected Mayor of Guatemala City in 1981 on behalf of the Guatemalan Christian Democrats (DCG), only for the election results to be annulled following a military coup. The new regime then offered to install him as Mayor anyhow, though to his credit he refused the offer. However, in 1985 he was elected mayor again, standing on behalf of his Civic Committee Plan for National Advancement, and was able to take office. In 1989, the Civic Committee Plan became the National Advancement Party (PAN). During his term of office, Mr Arzú was credited with making progress in tackling corruption in public life and improving the city’s infrastructure.